The 2015 Super Bowl is no exception, with :30 second ad spots during the game carrying a $4.5 million price tag, a hefty price to pay for such a short moment in time, but a massive audience of over 100 million! This price tag, however, is not off putting for big brands that are comfortable enough to build their advertising budgets around such advertising opportunities. And even some smaller brands like Loctite who spent their entire YEAR's marketing budget on a single ad. But what about the smaller brands who want to get themselves noticed during the Super Bowl adapalooza? Well, Newcastle Brown Ale's new campaign has come to the rescue. Arguably, smaller brand advertising is pushed out of the running for Super Bowl advertising spots as they’re beaten out by the heavy weight brands. Newcastle Brown Ale’s newest ad campaign has a plan to change the ad bidding game for the small scale brands – giving them an opportunity to play with the heavy weights during the excitement - not in - but around the big game. 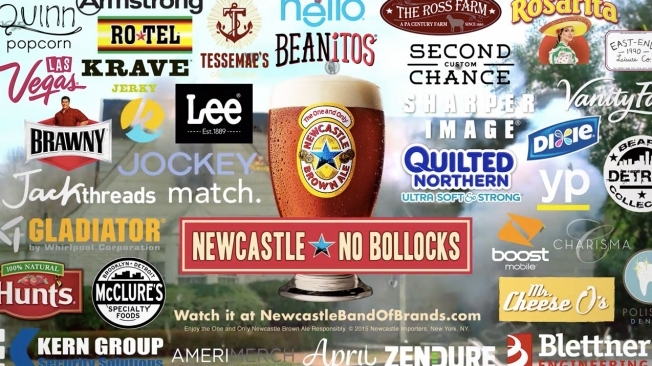 Inspired by the success of crowd funding techniques as a way of raising money to make projects a reality, Newcastle Brown Ale has created the Band of Brands campaign. Crowd Funding To The Rescue, For Advertising? Crowd funding is a form of raising money that has become increasingly popular over the past few years. 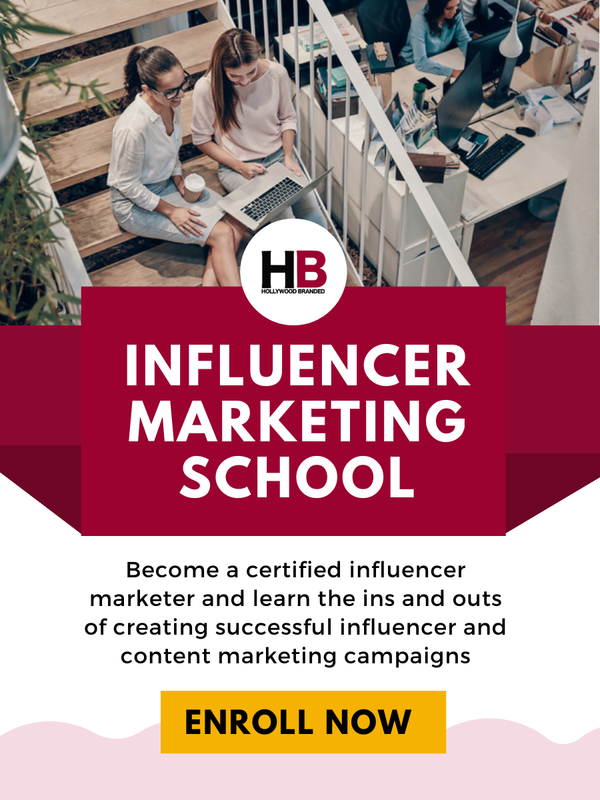 Many individuals and groups have used crowd funding methods to raise money for events ranging from traveling the world, to larger scale events like event organization and activation. 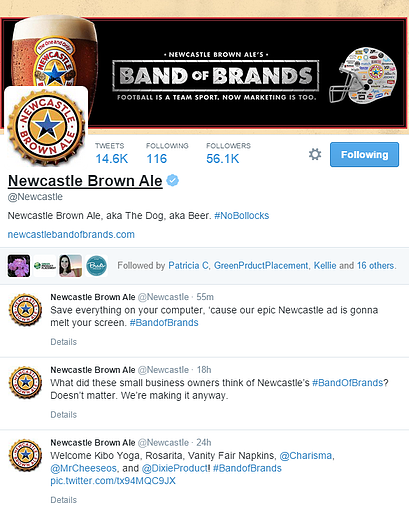 Newcastle Brown Ale’s crowd funded campaign challenges brands to pool their marketing budgets together and create a game changer of a Super Bowl ad! With Aubrey Plaza on board as Newcastle's sassy, non-conventional spokesperson, the brand successfully captures audience attention with its dry wit and straight to the point realism. While the ad itself can’t actually run in the treasured Super Bowl ad spots, as the NFL won’t allow dual brands – not to mention dozens of brands – to share ad time, the social media alone is proving worthwhile to brand participants. With mega results! AmeriMerch.com, AprilUmbrellas.com, Armstrong Flooring and Ceilings, Beanitos Chips, Blettner Engineering, Boost Mobile, Brawny Paper Towels, Charisma, Detroit Beard Collective, District 78, Dixie, East End Leisure Co., Gladiator GarageWorks, Hello Products Oral Care, Hunt's Tomatoes, JackThreads, Jockey, Kern Group Security, Kibo Active + Leisure Wear, Krave Jerky, Las Vegas, Lee Jeans, Match.com, McClure's Pickles, Mr. Cheese O's, Newcastle Brown Ale, Polished Dental, Quilted Northern, Quinn Popcorn, Rosarita Beans, RO*TEL, Second Chance Custom, Sharper Image, Tessemae's All-Natural Dressings, The Ross Farm, Vanity Fair Napkins, YP.com and Zendure Batteries. The end result is what one would expect from such a bespoke idea - frantic, but interesting. It’s not easy to throw 37 companies, including your own, into a commercial but Newcastle have managed to prove that their idea is both successful and a huge conversation starter. Watch the final masterpiece here, and let us know what you think! The number of brands using entertainment marketing strategies in their marketing mix has substantially increased. 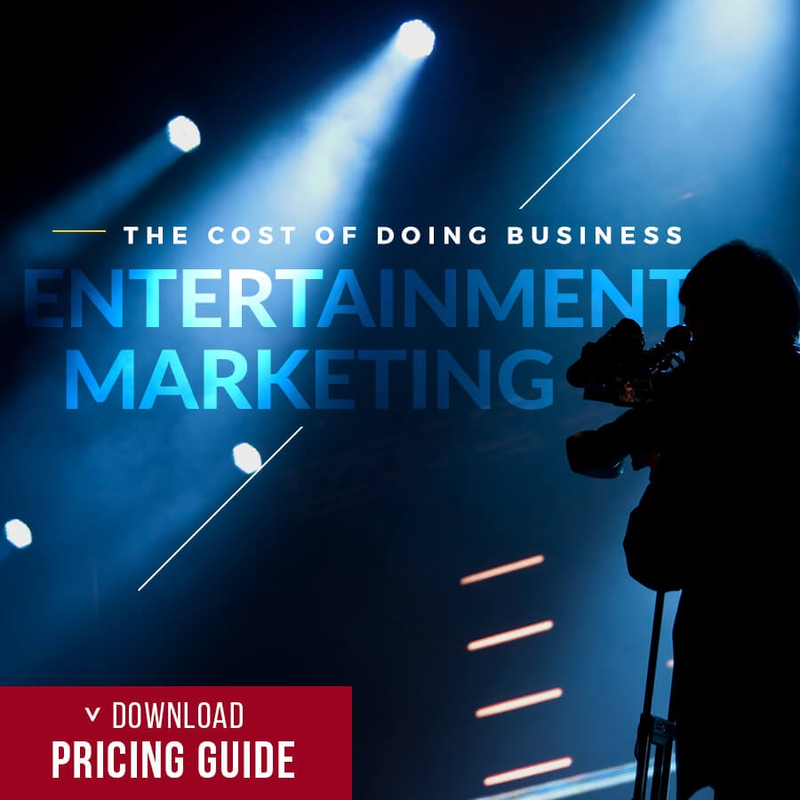 Read more about entertainment marketing strategies here. 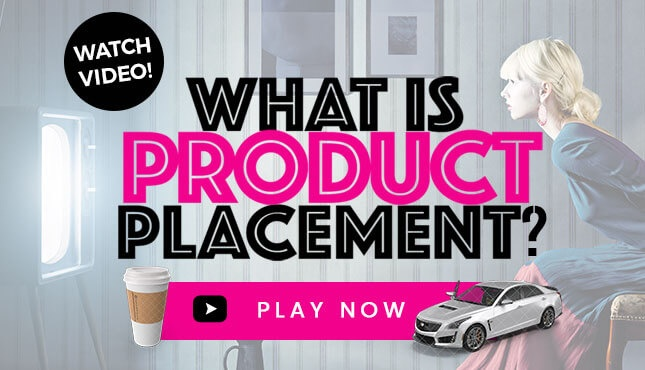 Are you interested in learning more about product placement strategies? 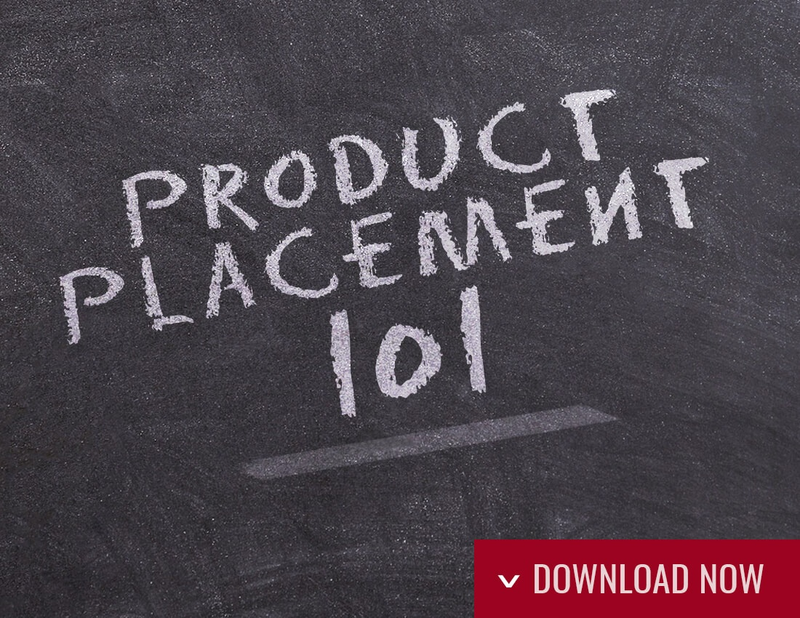 Download our "Product Placement 101" infographic to learn more!